Mobile Phone Tips and Tricks: What is a "PhoneJoy"? Over the next week or so we will be putting up a number of guides and even a review of the "PhoneJoy", but what is the "PhoneJoy"? 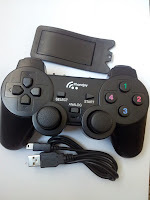 The "PhoneJoy" is one of a number of bluetooth gaming controllers which is aimed at the phone market, specifically in this case the Android operating system (and phones running versions 2.2 or above). The control has taken more than just a bit of inspiration from the very popular "Dual Shock" Playstation controller (as you can see in the picture to the left) which straight away gives it familiar look and feel though it actually serves a second purpose, it's perfect for emulators (especially things like FPSE which is built on being a PS1 emulator). Whilst on the face of it it looks like a PS2 controller you will notice a number of difference, mainly on the top of the control which features a switch, two lights and the charging slot for the inbuilt batteries. Despite everything, including an internal battery the control is remarkably light and easy to hold. Whilst the control has a growing number of rivals this has the classic look that we all know and love. Whilst it perhaps isn't the most mobile of the controls on the market it does have very good build quality and a very good team behind it who are easy to contact. Whilst we will be reviewing the product next week, we do advise that you check out the "PhoneJoy" website at http://www.phonejoy.net/ which features many more images, instructions and the ability to buy the control. 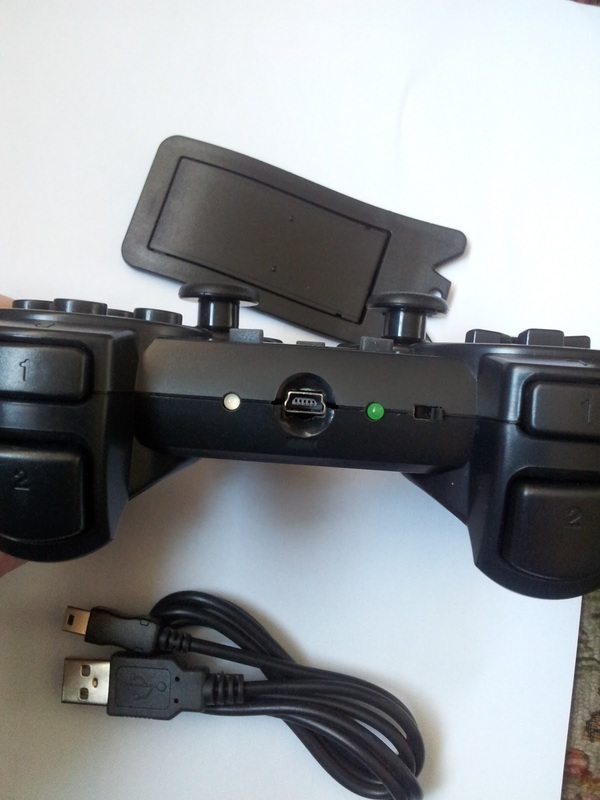 So you lot can check that out and I'll get on with playing games and testing it for the review! This is great, what I am looking for is this. I am found of games and I really need this kind of phone accessory to my phone. Thanks for sharing this.